Here is the best presented Pokemon GO Evolution Chart to quickly view all 151 Pokemon. Evolving your pokemon is what makes them stronger and will allow you to complete 100% of your pokemon go pokedex. There are a several ways to obtain the next evolutions. 1) Use the Candy you’ve accumulated and gathered to evolve them. 2) Hatching eggs will also easily obtain your evolution and help you to receive more rare pokemon that are otherwise really difficult to encounter. Stage 2 The second pokemon evolution chain, Eevee specifically has three Stage 2 evolvements. Stage 3 This is the final pokemon go evolution stage. Generally these are strongest and gain higher cp per level. Types Also included is the type where you can find what your type is weak and strong against. What you’ll find When you navigate further by clicking the pokemon’s name you will find more stats and other details in the pokemon go evolution chart such as spawn locations, cp per level and more. When you evolve Keep in mind when you evolve your pokemon, the primary moves and secondary moves often change. There are actually only 16 pokemon that have all 3 stages of the pokemon go evolution chart. Dratini, Dragonaire and Dragonite being the last on the list to have a full Pokemon evolution. Ghastly who is weak on alot of base stats, evolves into haunter and then into Gengar receiving a special charge ability (Sludge Wave) that does 70 damage with 4 charges. The reaosn why i point that out is he has very few weaknesses and is strong against alot of other types, this gives him a huge advantage in battle. Another great set to have in your pokedex is geodude, gravalar and golem. With the addition of the special charge ability Earth quake you can deal 100 damage to your opponent, one of the highest damage dealing abilities in pokemon go. To top it off you will gain a STAB bonus for increased damage and if your against any types your strong against you’ll completely destroy them one shot status. Let’s not forget about Bellsprout one of the most basic pokemon that turns monster in his or her final form. Once you complete the pokemon go evolution chart of bellsprout you’ll find that you will have one of the most underrated pokemon evolutions. Victreebel, considered to be a high DPS dealing pick to have in your battle during gyms. With the use of the Solar Beam ability and it’s low cooldown you’re able to output alot of damage in a short time, however keep in mind not to go against a counter such as a fire type. 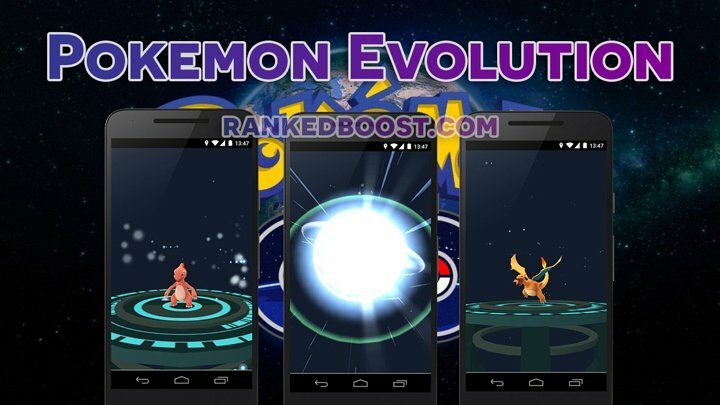 There are many great picks to capture and obtain in the pokemon go evolution chart click and browse through them to find the best ones that would benefit you most in your area. For example, if you live in a dry climate where only rock and ground type usually spawn. Then start using our pokemon go spawn locations guide to track down the type that can destroy those type of pokemon such as water and ice type. For more guides like the pokemon go evolution chart check out our guides page. There are tons of useful tips, tricks and poke techniques available in that section.